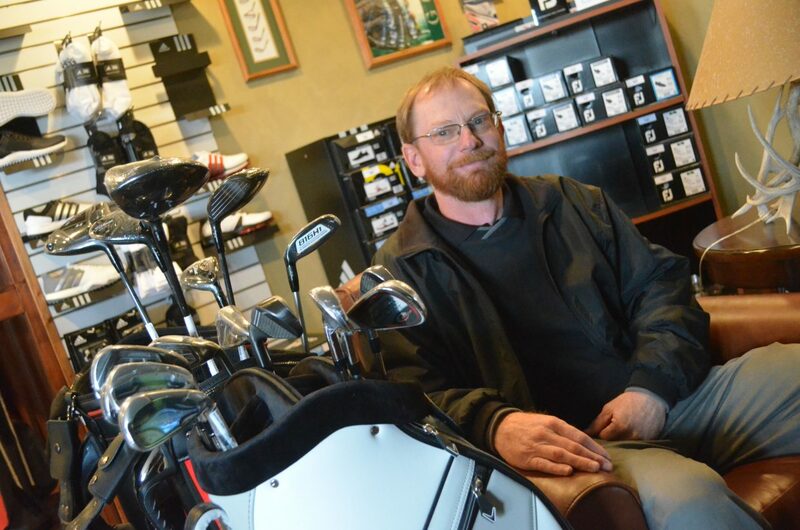 Jeff Harnasch takes a seat in the pro shop at Yampa Valley Golf Course. Harnasch began as the new manager and course pro at the beginning of March. The persnickety precipitation that makes up the Northwest Colorado springtime has been quite the change for the newest member of the Yampa Valley Golf Course staff, but the opening of the links is no less special. Jeff Harnasch recently began as the new manager and course professional at YVGC and has been on-site at the course since early March in preparation for the new golf season. Harnasch was hired for the open position vacated last summer by Bob Mueller. Craig Press met with the new pro about his experience in the sport and the plans for the course in the coming months. 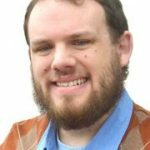 Craig Press: Where did you relocate from to come to Craig? Harnasch: I’ve been down in Wickenburg, Arizona for the past 20 years. It’s about 60 miles northwest of Phoenix, kind of between Phoenix and Vegas. I was working at various courses, and I was at Wickenburg Country Club for three years, plus I had been there a five-year stint before that. CP: How long have you been a serious golfer? Harnasch: I started playing when I was younger than 5, so quite a while. Played high school golf, a couple years of college golf. I grew up in Oroville, Washington, my parents, my grandfather really got me started. After high school I played two years on the University of Gonzaga team, then left there early to focus on a career in golf and went to a golf course management school down in Phoenix and stayed in the Southwest. CP: What interested you in Yampa Valley? Harnasch: One of the board members here saw that there were some issues at the course I was at. Bud Bower told me there was an opening. I’ve known him for a couple years, since he’s also a member down in Wickenburg. I interviewed back in September, they hired me back in October, but I didn’t start until March 1. CP: How is the landscape different from the courses you’ve seen in Arizona? Harnasch: Landscape-wise it’s not that different, but environment very much so. It’s 75, 80 degrees in Arizona right now. CP: What do you feel is the biggest draw of YVGC? Harnasch: I would say price is probably a lot of it. It’s one of the least expensive golf courses in the area, especially compared to Steamboat. It’s very accessible from what I’ve learned, and it’s a good test of golf. It’s not terribly long, very small greens, so that provides a challenge, some tough ones out there. I’ve really only played a couple rounds so far when I was first out here to interview. CP: What’s the timetable as the season begins? Harnasch: We opened up March 21, and it was just walking on the back nine. All 18 are open now, and as long as the weather cooperates, we should have carts available. The prices will remain the same as they were last year. No increases there. CP: What kind of changes have you seen in the popularity of the sport in the past two decades? Harnasch: It’s just like everything, it’s cyclical. I think the big push now is to get the younger generation out and involved since they sit at home in front of a TV or a computer or tablet. CP: What kind of plans or goals do you hope to implement? Harnasch: Bringing in new merchandise was probably my first and foremost goal, and we’re on our way with that. Doing a junior clinic is something too, we’ll be doing that in the early part of the summer, trying to get kids out here playing throughout the season. We’ll be having more clinics for adults too, men’s and ladies. We’ll also work on having a weekly scramble or nine-hole thing, get more people out here for that. I’m working on doing more social media, that gets us out there more for the younger generation, see if we can’t get them out here to play. The existing tournaments we’ve got are what we’re going with, but we’ll see if we can’t have a couple more. I’d like to get a Pro-Am out here for some of the better golfers or have a city championship that might draw more people. I know they have a club championship, but it’s only open for men’s and women’s members. I really want to get this course on the map, let people know this is a great place to come. It’s a fun place, and it’s an economical place. For more information on Yampa Valley Golf Course rates and tee times, call 970-824-FORE (3673) or visit yampavalleygolf.com.